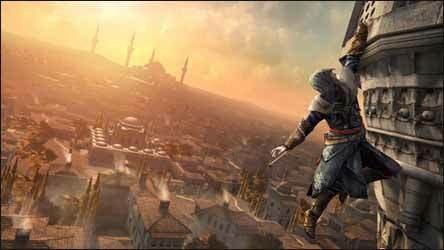 Darren Rea: How did you get involved with writing the soundtrack to Assassin's Creed: Revelations? 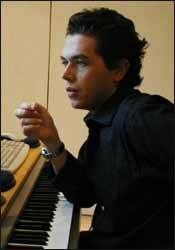 Lorne Balfe: I got involved by working on the E3 trailer for Assassin's Creed Brotherhood. It was a fantastic trailer and was great fun to work on. We had a great relationship and process working on it , and this obviously led to them asking me to work on Revelations. The original brief was to work on the cut scenes. Then I began working on the concept of a main theme. The designers and producers felt it would be interesting to see if I could come up with a theme for the whole franchise. We spent a while doing this, but I feel it paid off. Instead of a theme for the individual characters, we now had a theme for the whole game. DR: With a project like this, at what stage are you brought onboard? And how much time do you have to deliver your final work? LB: I think the whole process was around five months. I was brought on far later into the game process than usual. Unlike the next game were I am right at the beginning and writing whilst they create e game play and cut scenes. On some projects you can only have a couple of weeks to deliver a complete score. Every project is totally different. Some clients like to have the composer on from the beginning. Some projects do not manage to bring the music team on until post production. DR: You composed for the cut sequences as well as the multiplayer game. Did you get to watch the cut sequences you wrote for, or was it a case of being asked to develop music of a certain style that the developers then put where they thought best? LB: The cut scenes are just like the scenes of a film. I have to actually see them to compose to. We sometimes start of with simple story boards but for the final composition we see the end animation. The cut scenes are just as important as a scene in a film. They tell a story. The music has to help the narrative. DR: And, with the multiplayer game music did you play the game while in development to get a feel for it? LB: No. I have been asked this a few times, and some people don't understand how I can write music without playing it. If you compose music for a film, you do not do a better job if you are acting in the scene! I get a feel of what is wanted by watching the scenes, looking at the art work and talking to the actual game developers. I don't see how playing it makes me have a different impression of how the music should sound. I understand if the music is stealth like or action like, and then I will write around these concepts. DR: Are you a big game player? And if so what sort of games do you like to play? LB: I seem to have no coordination when it comes to gaming! When Call of Duty came out, my mother was better than me! 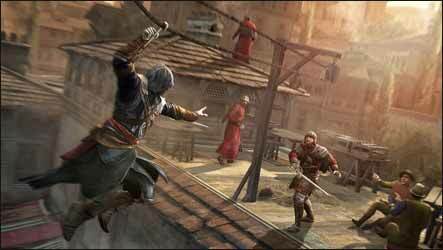 I recently did though try out the multiplayer of Assassins Creed on a recent trip to Ubisoft, and it was unbelievable. It was so addictive. At the moment, I work 23 hours a day, so if I did start gaming, I fear I would not get much music done. 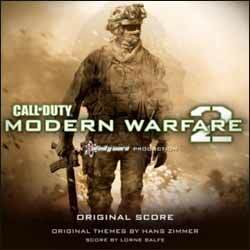 DR: You music for Call of Duty: Modern Warfare 2 is one of the most impressive scores written for a video game. Do you think game developers are paying more attention to music than they used to? LB: I think music has always been paid a lot of attention, with Halo etc. What musically is happening more now though is cut scenes. Games now have minute wise, the same amount of cut scenes, if not more, than minutes in a film. Story telling is very important now. The gamer is being given more than a shoot 'em up experience. You feel for these characters. You live these characters. You become these characters. Game music used to be simply music that looped that had a nice tune. Game music is the same level as film music. It has to tell a story and absorb you into that world. DR: Tell us about your working relationship with Hans Zimmer, and what's the most important thing you've learnt from him? LB: What haven't I learnt! It's not just learning music, but dealing with clients, dealing with the pressure of deadliness to name from a few. To sit in a meeting and see how to relate to directors and producers is something. No music college will ever teach you this. As well as being a composer you have to be a good communicator. Directors do not always know musical terms, so being able to talk to them, and figure out what they are trying to explain is very important. DR: What's the one project you enjoyed the most? And what's the one project you're most proud of? LB: I am very proud of a documentary called Salinger. I have been on it for over two years with a fantastic director Shane Salerno. 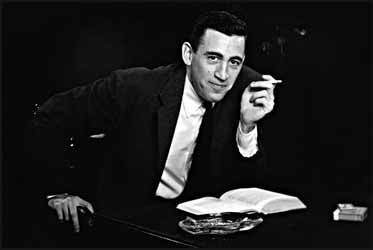 Shane knows his film music and has pushed me to make someone unique and fitting for this very fascinating author JD Salinger [pictured]. We had a lot of fun making the music for this documentary and in those two years I have learnt a lot. LB: Being Scottish has been a major influence. Being surrounded by this traditional music has made me have an understanding of melodies I think. Also choral music whilst studying at Fettes College. I never really thought about it at the time, but now, I can look at all these musical situations and see how important it was to my musical career. Being brought up in a musical household also was very important. Having a residential recording studio at home meant constant interaction with music. Having a father as a songwriter also meant I was brought up thinking music was acceptable. Many people find it hard to get into the arts due to the fact they are not regarded as proper jobs. Thankfully, I didn't have this pressure. DR: When you're writing a score what's the hardest thing for you - the aspect that you're least a fan of? LB: Picture changes! That has to be the only thing about the process I can barely tolerate. You spend weeks trying to perfect a piece of music to a scene, only to then find it is totally recut and now is no longer the same structure... or sometimes not even the same subject matter! Nine times out of ten it would have been simpler just writing it from scratch to the new cut. I love watching the scene with no music then beginning to write and see the scene come alive. DR: And which comes most natural, or is the part of the process you most look forward to? LB: None of it comes natural to me! During every project, I always kick myself for not practicing the piano more! My 2012 New Year resolution is to practice more I think. Being able to record an orchestra is a wonderful luxury in life. I think having any musicians bring your ideas to life is very exciting. Seeing a director smile or cry when a cue is played is wonderful. To know you have helped in a little way in helping their vision come alive is fantastic fun. The final mix is always a great part of the process. It's the end! Months of trying to create this music is now being put to bed. It is hard to sometimes because you want to keep changing aspects of the music But the clock takes control and you have to stop. Since I have recently started writing for games, it is brilliant to watch friends play and totally be absorbed by the visuals, sound effects and music. DR: If you ever got bored of writing what would you love to do in order to bring in the money? LB: Then I would be a very poor busker playing an old Casio keyboard on Princess Street in Edinburgh being heckled at regularly. 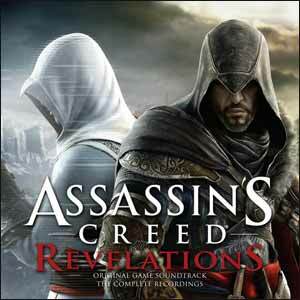 The soundtrack to Assassin's Creed Revelations was released through Ubisoft Music on 15 November 2011.